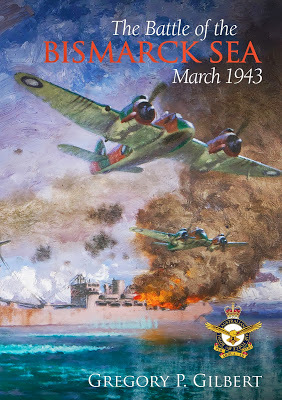 The Battle of the Bismarck Sea was one of the landmark battles of Australia’s Pacific war. Running from 2–4 March 1943, it was critical to Allied success in the Second World War’s New Guinea campaign. Churchill considered the Battle ‘a striking testimony to the proper use of air power’. Douglas MacArthur described it as ‘the decisive aerial engagement’ of the war in the South West Pacific. Lex McAulay described it as one of the war’s ‘great historical moments—a land battle fought at sea and won from the air’. For Australia it was much more. Victory in the Bismarck Sea finally eliminated any attempt by the Japanese to regain the initiative in New Guinea, and subsequently invade Australia. Coinciding with the 70th anniversary of the pivotal battle, the Department of Defence’s Air Power Development Centre has published this concise historical case study of the Battle. As you would expect from the Office of Air Force History’s then Deputy RAAF Historian and current Deputy Director Research, it is well written, soundly researched and firmly based on primary source documents, particularly those held in the Office of Air Force History’s research collection. Dr Gilbert draws on new material and reexamines existing evidence which accounts for some differences in interpretation between this and other descriptions of the Battle. Importantly, Dr Gilbert looks at plans and preparations from both the Allied and Japanese perspective and addresses technology, doctrine, training and intelligence in his discussion. Supplementing the 76 pages of text and eight page bibliography are many scarce American and Australian photos, colour artworks and maps. After describing the course of the Battle, Dr Gilbert focuses on the significant outcomes and lessons learned, especially in relation to air power and effective cooperation between army and air force. He refrains from favouring the Australian contribution over that of American as he illustrates an effective coalition of Allied forces. He also compares losses, and studies the effects of the lost battle on Japanese strategy. As much as possible he lets the protagonists speak in their own words. A slim book, yes, but in his succinct account of the Battle of the Bismarck Sea, Dr Gilbert more than creditably covers all the salient points and offers even more to consider. For those who want to springboard to more detailed studies, he provides a suggested reading list in addition to his secondary source material. Pilgrims cannot visit the site of the Battle and relatives cannot grieve the fallen in situ because an encounter between ships and aircraft leaves no visible traces. There are no monuments or dedicated memorials to the 15 minute battle which was a major turning point in Australia’s defence. In the centenary year of the Battle, Dr Gilbert has written a fitting tribute to the skill of the Australian and American men involved. Recommended.